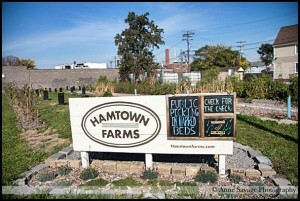 Hamtown Farms is getting ready for another growing season at their site on Lumpkin and Wyandotte. As winter slowly thaws away, plans for the coming growing season are already budding at Hamtown Farms. 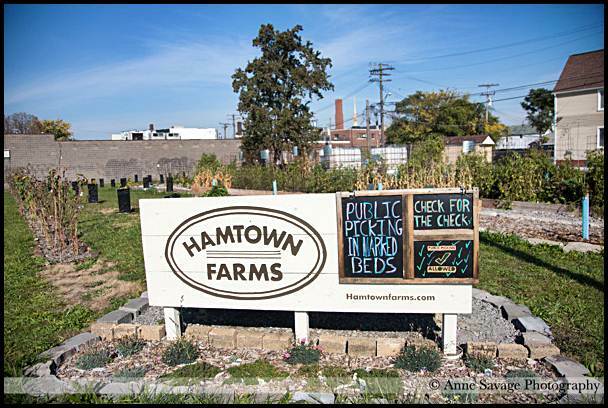 Last fall, the non-profit group purchased seven city-owned lots in the Lumpkin-Wyandotte area, next to the existing Farms’ site, for almost $23,000 after getting into a bidding war with Kowalski Sausage Co.
Kowalski snagged two lots next to its plant, but owner Mike Kowalski declined to talk about what he planned to do with the property. A city hall source has since confirmed that the company plans to expand, but details were not available. Mike Davis, one of the organizers of the Farms, said this year’s plan calls for erecting a 16-by-14 foot shed to store tools and supplies. But first the group has to get permission for the shed because it does not conform to the city’s zoning code. In the past, the city’s Zoning Board of Appeals has been generous in granting what’s called “variances” to the zoning codes. Kathy Angerer, the Director of Community & Economic Development, supports the proposal. “It’s a great use for that property,” she said. Coming up at the Farms is Volunteer Day on May 31, which is when the public can stake out a raised garden bed.